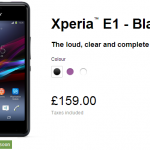 We have already seen more than 7 new Sony 2014 models on AnTuTu benchmark database and on Indonesian Postel website which stirred the rumors for Sony’s 2014 lineup. 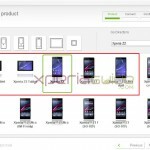 Sony SGP521, D2005, D2105 and D5503 were spotted on Indonesian Postel website and Sony D6503, D5303, D2105, D2005 , D2004 and D2303 were spotted on AnTuTu Benchmark database a few days ago and just now some of them now seen on solid FCC network. 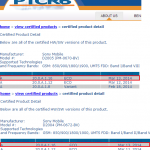 We just spotted that Sony D2104 and Sony D2004 both passes through FCC ( 1, 2 ) network which 100% marks the presence of Sony D2104 and Sony D2004 officially as the devices among Sony’s 2014 models lineup. 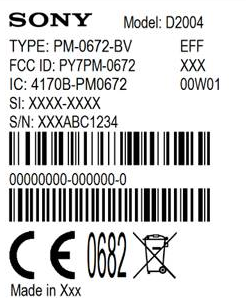 Check below the listing of Sony D2104 and Sony D2004 on FCC. 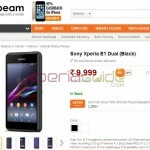 Sony D2104 and Sony D2105 are the commercial names and as per documents seen on FCC, they have been labelled as Sony Xperia E1 Dual ( HSPA+ and LTE version ) which were previously speculated as facelift version of Xperia L.
Another device Sony D2114 is also spotted whose exact model number is unknow. 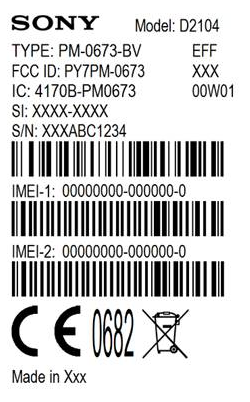 Notice the two IMEI numbers labels which indicates it as Dual Sim Mobile. 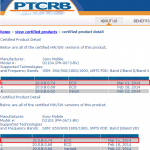 Sony D2104 is spotted as running 20.0.B.0.26 firmware, android version not specified yet and accessories listed as USB Cable, earphones, Battery and AC Adapter. Apparently Sony D2105 scored 13001 points on AnTuTu Benchmark. Sony D2004 scored 12633 points on AnTuTu benchmark when previously spotted. 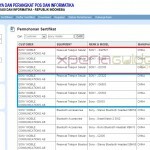 Only one IMEI number confirms it is single SIM phone running 20.0.A.0.26 firmware, android version not specified yet and accessories listed as USB Cable, earphones, Battery and AC Adapter. Sony D2005 spotted on AnTuTu Benchmark scoring 12790 points. 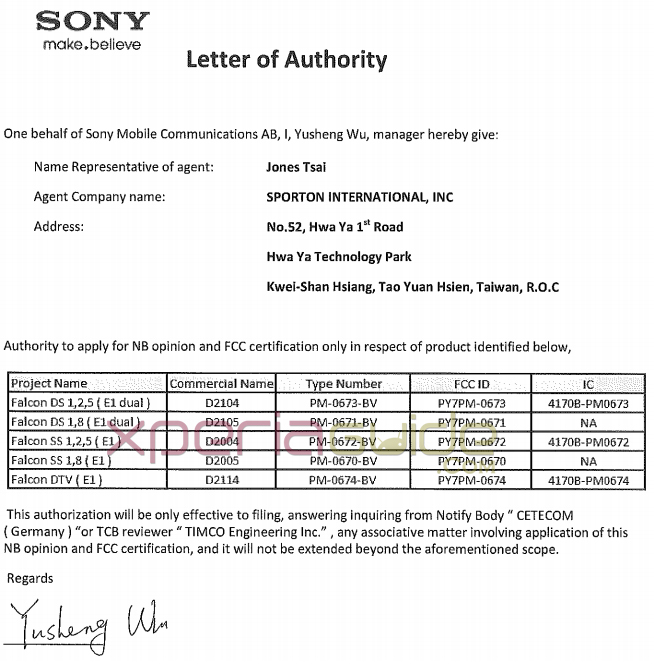 Listing of Sony D2104 and Sony D2004 on FCC has now revealed the mystery behind the real names of devices. 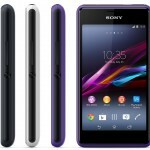 Sony D2104 will comes as Xperia E1 Dual and Sony D2004 as Xperia E2 dual. What do you think guys, as CES 2104 event is very near and we are expecting Sony to launch some new models of Sony 2104 lineup. It is also speculated the Sony D5503 will be revealed as Xperia Z1 Mini international version and no flagship device will be launched. 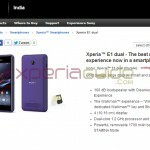 then Xperia L successor might be D2303 series.. but Antutu scores of it is unknown.